Take a look at the following pages that chronicle the past and present of the Norristown Area Softball seasons. Starting with the 1999 season and going right up to the present season, you can read about the Norristown (and other surrounding leagues) standings, playoff results, local tournament results and any other miscellaneous happenings of that particular season. The Norristown Softball Leagues are still going strong after all these years thanks to the efforts of one man. The guy pictured above is Norristown Softball. Sully "Heels" Gelet, the whole league thanks you. In November, 2007, Wierman Field at the Elmwood Park Zoo was officially put to rest by vandals. A new beginning began on April 26, 2008, when the new fields were "officially" dedicated and renamed Sullivan "Heels" Gelet Field. 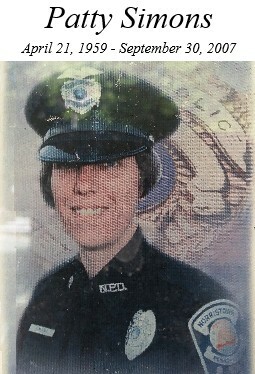 The women's field was named Patty Simons Field after the fist women Police Officer in Norristown's long history who passed away in September, 2007. The new sign is shown above. Check out the current season now! There is also as much information as I can find or get from the Norristown Women's Softball League. 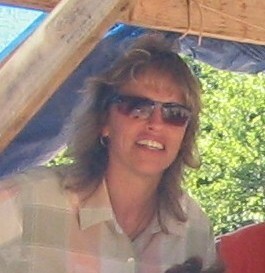 The League was started by Bill Plichta almost 30 years ago and is now run by Stacey Clemens (pictured above). It is a top-notch well organized group. Stacey put as much time and effort into this league as anybody in the state. She is helped by the amazing assistant Glenn "Statman" Kilpatrick as he helps her organize, schedule and sorts out the standings. But it's Stacey who is always there and it's about time she gets recognized for her efforts. Mentioning the Norristown Softball League without mentioning the Women's League is like mentioning peanut butter without jelly. So, Stacey, thank you for all you do for the women of this area. And for those who don't know, the Norristown Women's League has had at least 10 ASA of PA State Champions and also had teams that have finished runner-up 6 times or more. There have been some great teams in the history of this league, teams such as: Acceptance Associates of America (AAA), Trouble, Pastino Hairstyling, Anderson Auto/Sports Page/Perky Cafe, Brook Tavern, Slammers, AJ Catagnus, Tom's Bar and the current queens of the hill, The Breakers (managed by, you guessed it, Stacey Clemens). �1998 Steve Dimitry. All rights reserved. violation of Federal copyright laws.